The UAE property sector has bounced back from crisis and is now attracting foreign buyers. No matter what does one say about economic conditions of Pakistan but this is a fact that Pakistanis are among top ten property buyers in the UAE, investing in all luxury accommodations and commercial properties. Seeing the mounting number of queries received from Pakistani investors; DAMAC, a leading Dubai based developer, has decided to visit Pakistan for a road-show. 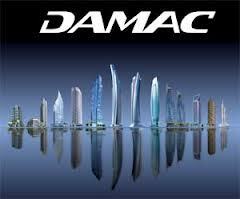 Remember, DAMAC has completed 37 developments to date and 66 developments out of UAE in North Africa, Jordan, Qatar, Saudi Arabia and few other countries are currently in different phases of construction. The company’s marketing team will tour Pakistan from June 29-30, 2013 starting with a road show in Karachi, followed by one in Lahore and one in Sialkot. While expressing the reason to prefer Sialkot for a road show over any other leading city of Pakistan, the spokesperson said that the company has received a large number of queries from potential investors of Sialkot. Several Pakistanis already have second homes in Dubai and we are hopeful that we will succeed in targeting buyers during our visit to Pakistan, DAMAC's spokesperson further added.